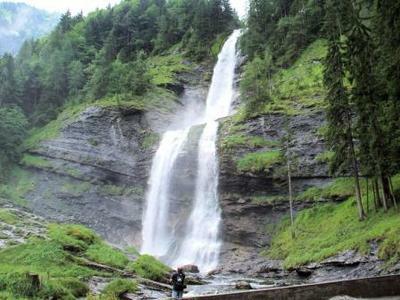 The Cascade de Rouget is located near the village of Sixt-Fer-à-Cheval in the Haute Savoie region of the French Alps. 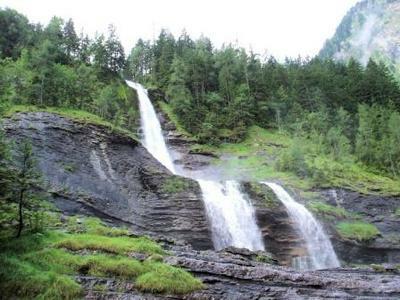 There are many waterfalls in this area but the Rouget is considered the finest and is known as ‘Queen of the Alps’. It has an interesting formation, falling once onto a limestone shelf and then dividing into two, with a total height of 90m. 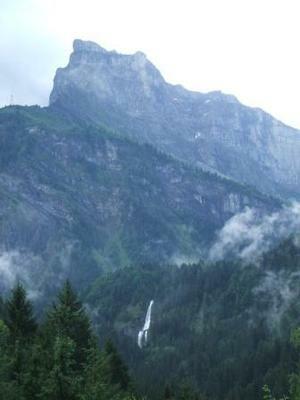 This is the flow in July, apparently it is very impressive in Spring when the snow melts.